Mutual fund investment can be an intimidating decision. There are usually so many questions you need to ask and answer! Which type of fund is best for me? Is this fund more profitable than the other one? How do I track and measure my returns periodically? And many more. Amongst these, one of the most frequently asked questions is ‘what are open-ended funds’? Which is why, in this article, we shall discuss everything you need to know about open-ended mutual funds – types, benefits, top investment options, etc. Open-ended mutual funds are essentially an unlimited pool of shares that are created every time a share is purchased and pulled out of circulation every time it is sold. The value of an open-ended fund changes from day to day and the Net Asset Value is determined on the stability of the fund’s core securities. Think of a product that never goes out of stock but, instead, is created every time a purchase is made and eliminated every time it is returned. That’s the way an open-ended fund works. Like any other mutual fund, open-ended funds have a diversified portfolio, creating a collection of stocks and bonds that make up the fund. However, the advantage of open-ended funds is that they are easily accessible for investment due to a lower monetary entry-barrier. This makes them a popular choice for investment. Open-ended funds do not have a lock-in period; however, they do have substantial exit loads if the investor decides to withdraw the money before one year. Open-ended funds are available in all the different mutual fund categories – equity, debt, hybrid, etc. The equity mutual funds are further divided into small-cap, mid-cap, large-cap, multi-cap funds, and more. There is an extensive variety of plans and fund schemes that allows investors to select the best option available, based on their financial capabilities. These funds generally invest in small market capitalization companies. The rationale behind these is that small company have greater potential to create wealth for the investors. However, small capitalization stocks are amongst the lower spectrum of capitalization. Generally, these companies are considered risky but they also create maximum return compared to the other categories. Who Should Invest in Small-cap Open-ended Equity Mutual Funds? A person with a high risk-appetite and long-term financial horizon can invest in these schemes. These fund houses invest in both large-capitalization companies and mid-capitalization companies. These stocks are considered comparatively safer in terms of risk. The market capitalization of large-caps is above Rs. 20,000 Cr. Large-cap corporations disclose their information consistently across various media platforms. Mid-capitalization stocks are between Rs.5,000 Cr-Rs.20, 000 Cr. Mid-cap companies have a tremendous opportunity for growth and they are not as risky as small-cap companies. While investing in mid-cap open-ended funds, experienced fund managers select companies that match the investment objectives of the investor. These companies are smaller as compared to large-cap companies. Who Should Invest in Large-Cap and Mid-Cap Open-Ended Equity Funds? These funds reduce risk by investing in diverse markets. A combination of large and mid-cap investment can be a wealth creator for investors. Investors with a moderate risk appetite and a longer financial horizon can invest in these stocks. The risk profile of these schemes is lower than that of small-cap mutual funds. It has been observed that these companies perform well in the span of 3-5 years. Business jargon defines a thematic fund as “a kind of mutual fund that invests across the sectors related to a common theme”. These funds are considered as very risky as most of the businesses are prone to the economic cycle of market crests and troughs. For example, a depreciated rupee is favorable for IT and Pharma sectors so those funds will perform better but if the Rupee appreciates it will have a negative impact on the funds’ performance. Open-ended mutual funds offer a variety of schemes for all types of investors. The lack of a lock-in period allows the investor to redeem a fund completely or partially at any given time. This makes open-ended funds a more profitable option as compared to any other long-term investment option. In the transaction of open-ended funds, a fund sponsor establishes an AMC (Asset Management Company). After setting up the AMC, the mutual fund announces its NFO (New Fund Offer). This offer is made to the public before the fund starts its activities. Valuations of these investments reflect the daily price activity of listed securities, i.e. stocks, bonds, etc. 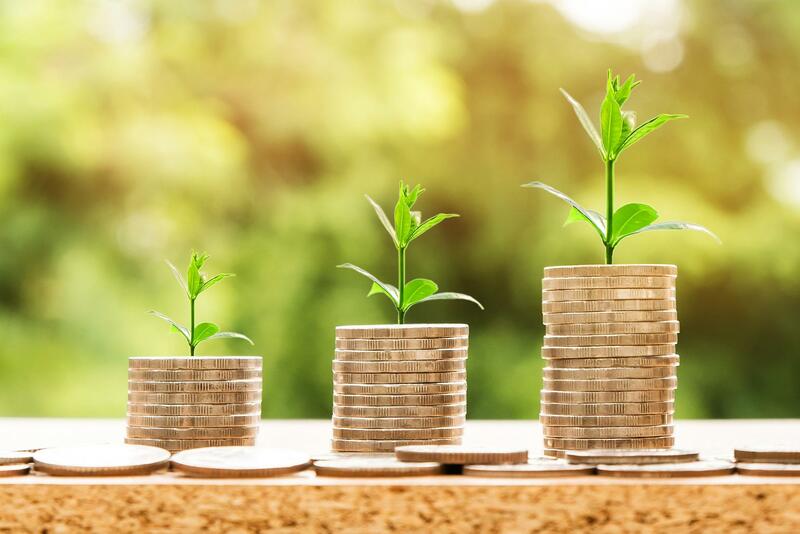 The fund assesses the value of the portfolio every day and the total amount at the end of the day is divided by the number of outstanding units. Withdrawals and purchases made are also accounted for. Now, the units are bought and sold at the net asset value (NAV) declared by the fund. This helps the investors gain practically the same amount per transaction, i.e. the true value of the fund’s underlying assets is retained. This might sound trivial, but this is an important advantage of open-ended funds over closed-end funds. Open-ended funds are generally a part of a family of funds, which allows the investor more flexibility in switching mutual funds than other schemes. With open-ended funds, an investor can switch between portfolios at little or no cost. Historically, open-ended funds have been able to tide over the market trends with relatively fewer disturbances. They can navigate the securities cycles of the market in the long term and hence, offer higher returns of equities in an asset class. Open-ended funds do not trade on the open market. Shares have to be purchased and sold directly from the fund company. This ensures greater transparency as there are no mediators involved. The investor has complete management of the shares and can make executive decisions. These are the advantages of open-ended mutual funds. Let us now see which are the top investment options for open-ended investment in India. As per recent amendments in taxation laws, open-ended funds will attract 10% tax for long-term capital gains of over Rs 1 lakh, at a flat 10 percent without indexation benefit. Inventors can invest in these open-ended schemes either through mutual funds distributor, stockbroker or they can invest directly with mutual funds as well. Direct investments with Mutual Fund House can earn an additional return on these investments. Open-ended mutual funds are a highly flexible and affordable option for mutual fund investment. The investment is dependent completely on the financial capabilities of the investor, the objectives of investment, and the risk appetite of the investor. Open-ended funds have several advantages over closed-end funds including a variety of option in equity, debt, and hybrid investment. These advantages make open-ended funds a likely choice for new investors. However, due to the daily revision of the share prices, it is not possible to get out of an open-ended fund in a rapidly declining market. Open-ended fund portfolios should be selected carefully, with a proper diversification of capital for maximum returns. Hence, the help and advice of a financial advisor can go along way in making the right portfolio decisions. What are your thoughts on open-ended fund investment? Any questions you would like to ask? Drop a comment to let us know!